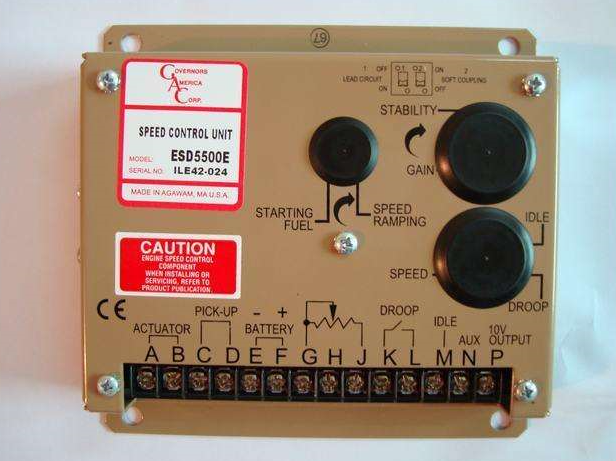 GAC Speed Controller, China Manufacturer of GAC Speed Controller. Various products of GAC Speed Controller, providing product images and basic parameters with each GAC Speed Controller and GAC Controller; We are a professional Chinese manufacturer of GAC Speed Controller, and look forward to your cooperation! GAC Speed Controller is rugged enough to be placed in a control cabinet or engine mounted enclosure with other dedicated control equipment. If water, mist, or condensation may come in contact with controller, it should be mounted vertically. This will allow the fluid to drain away from the speed control unit. We can supplide supplied the GAC speed controller from manufactures . GAC Sereis: ESD2210, ESD5111, ESD5221, ESD5500E, ESD5522E, ESD5550E, ESD5570E, ESD5330, LSM672N, SYC6714 ESD5111, ESD5330 . EDG5500, ESD5131, ESD2110 ESD5526E, ESD2241, ESD5522, ESD5550,ESD5330.